Aside from Pick a Pup which came out in early 2011, Jed is also the illustrator of Mike Huckabee's Can't Wait Till Christmas which came out in 2010. He's got a few other books raring to come out, including I Speak Dinosaur! (April 1, 2012), Just Say Boo! (July 24, 2012, written by Susan Hood), and Cheer Up, Mouse (Fall 2012, trailer below). Today is the day that Sam picks a pup! But how will he ever decide which one? He and his gram take a trip to the city animal shelter, greeting their neighbors’ dogs as they go. There are sleepy pups, hyper pups, glamorous pups—and some that are a mix of everything! 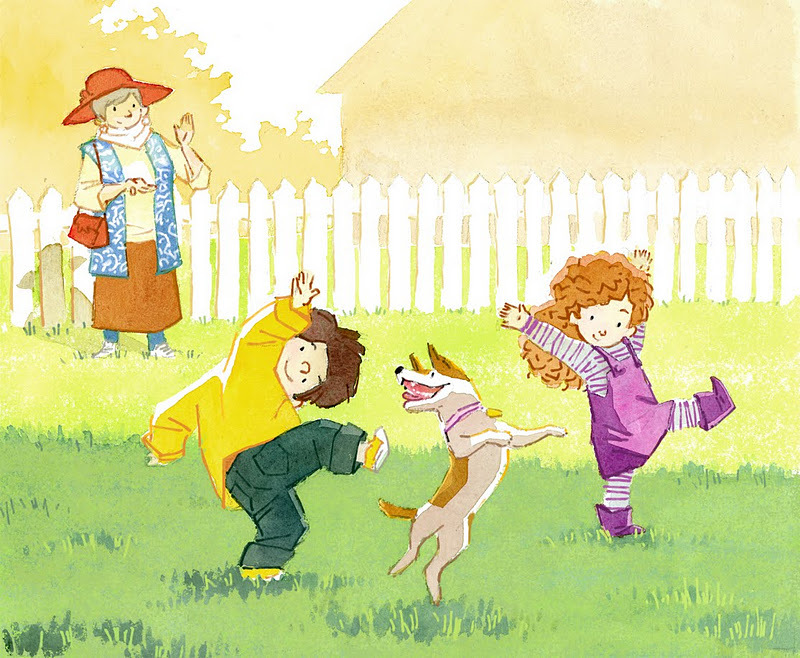 This energetic book, with its fun rhyming text and adorable illustrations, is sure to thrill the dog lover in everyone. And readers will delight in learning the true trick to picking a pup . . . the pup picks YOU! To see more illustrations from Pick a Pup, please check out this post on Jed's blog! Here's the AMAZING AND SUPER CUTE book trailer that Jed Henry made HIMSELF. I can no longer count the times my daughter and I have watched this. it's hecka' good. 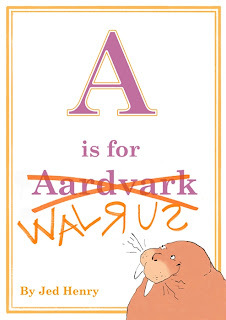 *Jed on "The Illustrated Section", featuring his .PDF book, A is for Walrus (left)! * Jed's guest post on Tara Lazar's blog (and Jed made coasters to give away! Too bad it's over). --Let's Talk About Feelings with Dr. Dog & Cat, M. D.
Jed is an animation graduate from BYU and is a member of the all-male, Provo critique group, Brotique (clever name, no?). Kids, books, and dogs! What could be better?